“I enjoy hiking and would like to have some experience outside Bagan. Maybe 5-7 miles is okay. In Yangon I can probably find my way around okay, but in Bagan and possibly Mandalay I would like a private guide for a few days. Wai Lin Tun, a local specialist from Myanmar, helped this traveler put together a customized itinerary. Welcome to Kimkim! I'm Wai Lin, a Myanmar Travel Specialist based in Yangon. I've well noted that you would like to organise a 8-day trip here in Myanmar from 6th Feb until 13th Feb. Also well noted that you've well reserved 2 nights in Yangon, 3 nights in Bagan and 2 nights in Mandalay. I've already started to work on a detailed itinerary and a quote for you and will get back to you shortly. I'm sending to you a proposal for your trip as the document attached. It's based on 1 person traveling alone and excludes the accommodation throughout the trip. However, it includes transports, activities as mentioned, trekking in Mount Popa area and English speaking guide service. 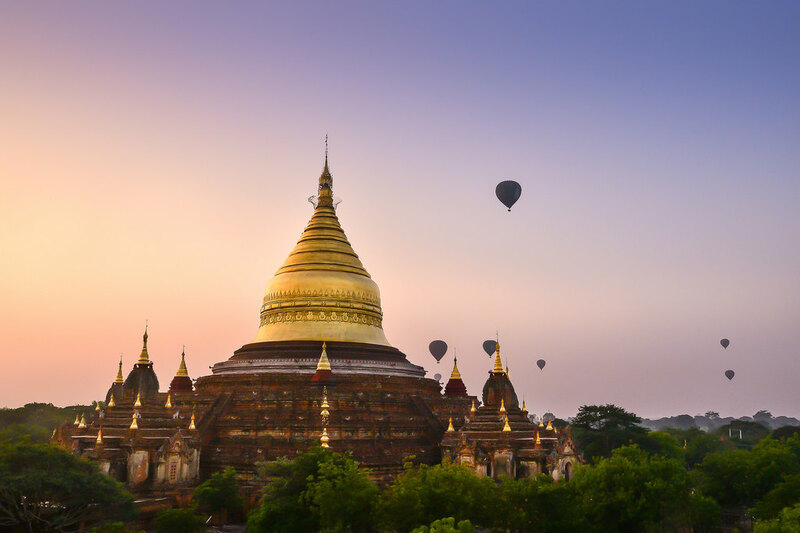 I also included some optional activities such as balloon ride in Bagan for sunrise watch and half-day biking tour among temples in Bagan together with the supplements. For your information, the trekking route options in Bagan are quite limited as the area is central region of the country as well as is very flat. The only decent trekking/hiking activity would be at Mount Popa which is situated 1-hr drive outside of Bagan. This trekking at Mount Popa is already included in the program. Please have a look at my offer and let me know your feedback on it so that we could work on if it needs some modifications according to your needs.